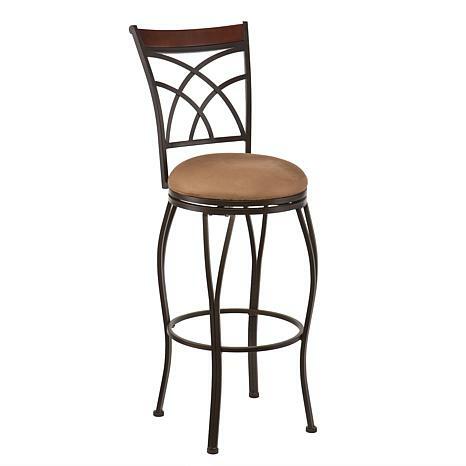 Raise the bar in convenient and comfortable seating with this curvaceous stool that's perfect for a contemporary bar or counter top. The intersected arcs and curved legs create a smart and refined look, and a full 360º swivel and foot rest ring add to the comfort. 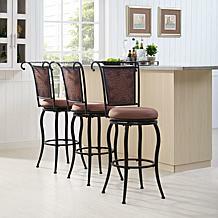 Its attractive dark champagne finish and durable steel frame goes well in the kitchen, breakfast nook, bar or dining area. 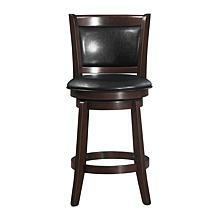 We ordered 2 bar height barstools for our new home. These were just perfect...they arrived in separate boxes. The assembly was a breeze with clear and concise instructions. The nuts and bolts came in separate little bags that were identified. 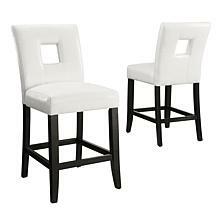 These are heavy and sturdy with the seats being swivel and quite comfortable. We are very happy with this purchase. 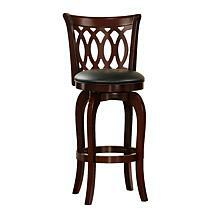 I purchased 3 barstools. The first one I put together myself and it took me 3 hours, sweating and swearing. The next 2 I had help but it was still a little difficult. Once done however they are perfect.